Judge John McNish is the presiding judge for the Municipal Court of Clay Center. 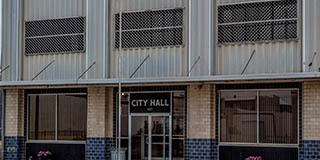 The Honorable John McNish administers over those cases issued by the Clay Center police department that take place within the city limits of Clay Center. This also includes all city ordinances. Lacie Stalder is the full-time Municipal Court Clerk. The municipal court hours are Monday thru Friday, 8:00am – 12:30 p.m. and 1:30 p.m. – 5:00 p.m.
Max Hanson oversees all probations and diversions. His hours are Monday-Thursday, 8:30 a.m. – 12:30 p.m.